There was a time when big, sturdy cars were the norm. The Chevrolet Chevelle exemplifies this edict. Drivers got a masculine rush being behind the wheel of these gas guzzling beauties. 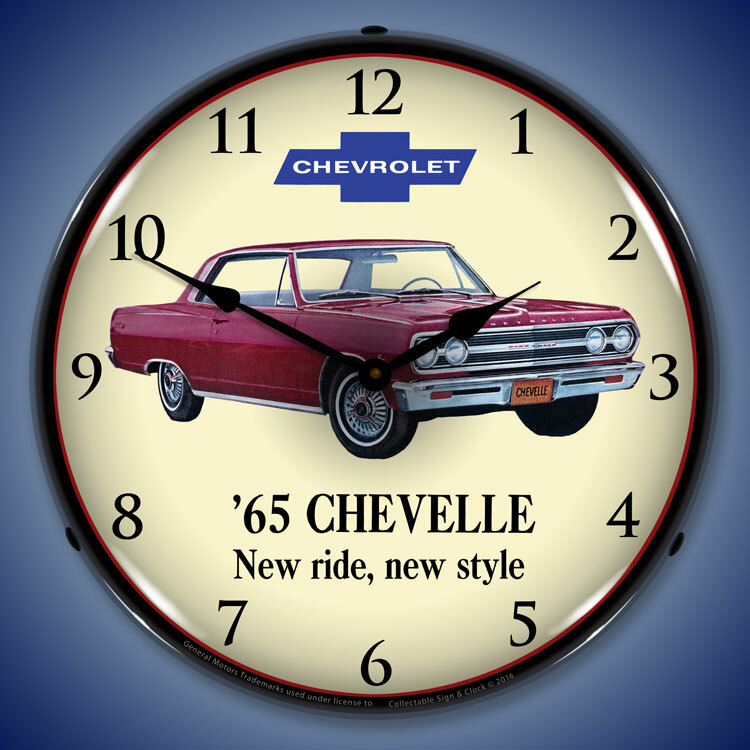 Chevrolet started rolling these babies off the assembly line in 1964. It had an illustrious career with both the public and NASCAR, which relied heavily on its robust body in the mid-1970s. 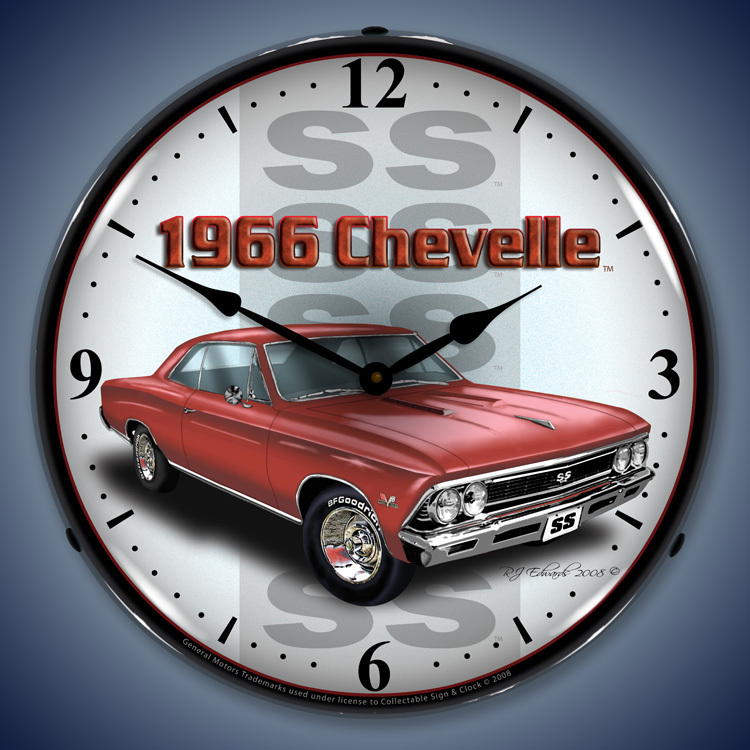 Designed from General Motor�s A-body platform, the Chevelle was a phenomenal success, hitting the road as coupes, convertibles, station wagons and sedans. Today, collectors are proud to have them and enthusiasts gladly attend car shows to just take a picture with one. 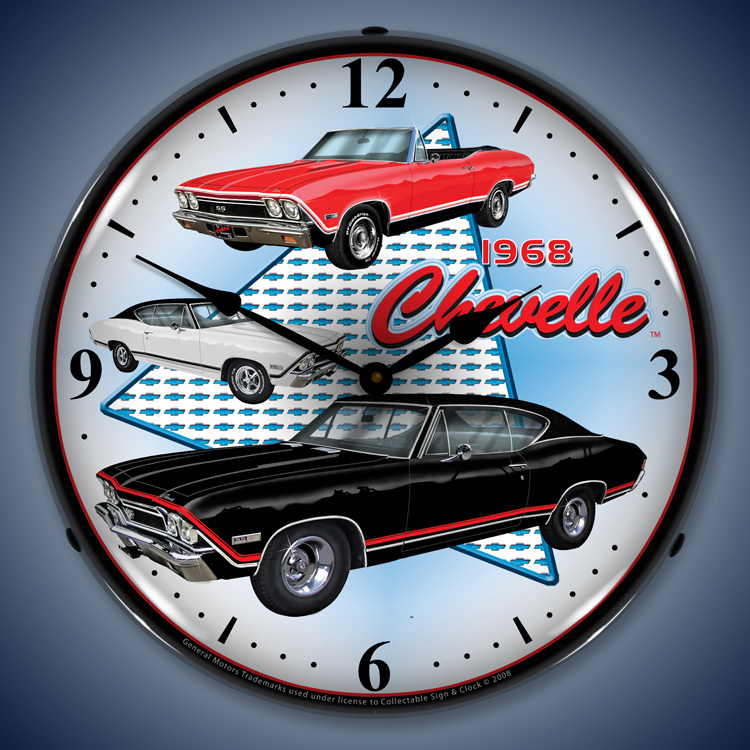 This collection of Chevrolet Chevelle wall clocks will take all of us back to a simpler time. 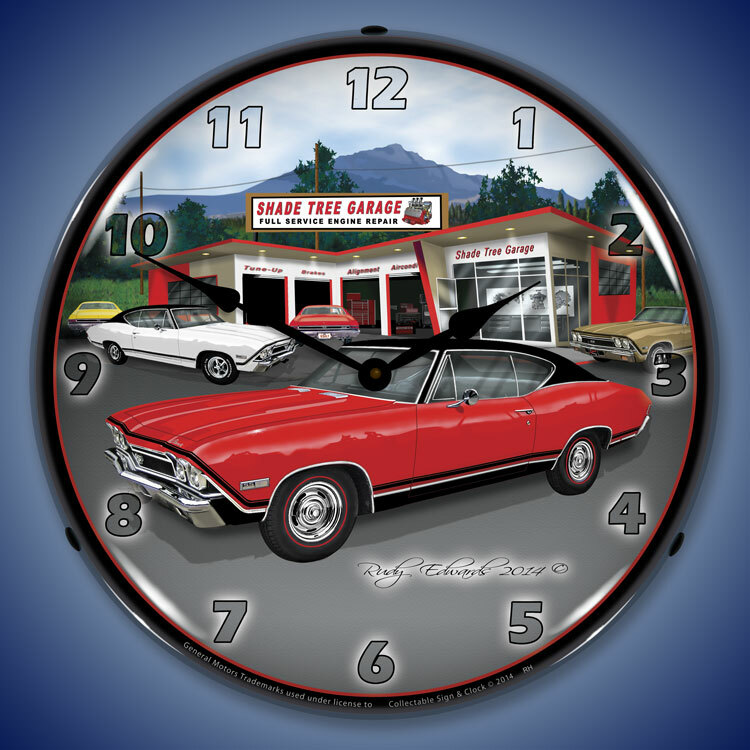 Each time piece celebrates the Chevelle in classic fashion. 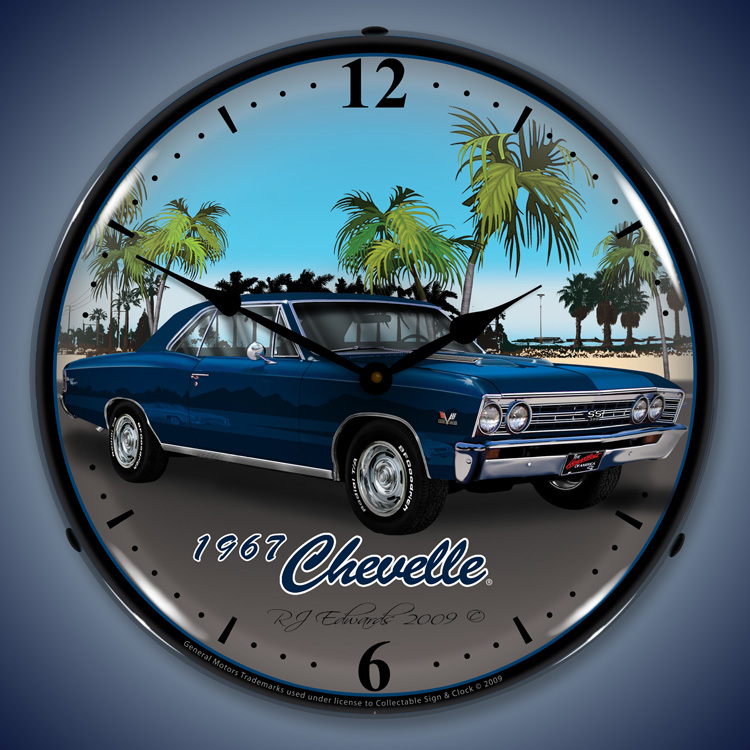 Some, like the �68 Chevelle clock, are set against a soft, distinct background of subtle color and design. The remainder have these classic cars in a throwback environment reminiscent of a colorful, simpler time. A car dealership, a garage, a tree infested beach, a gas station. 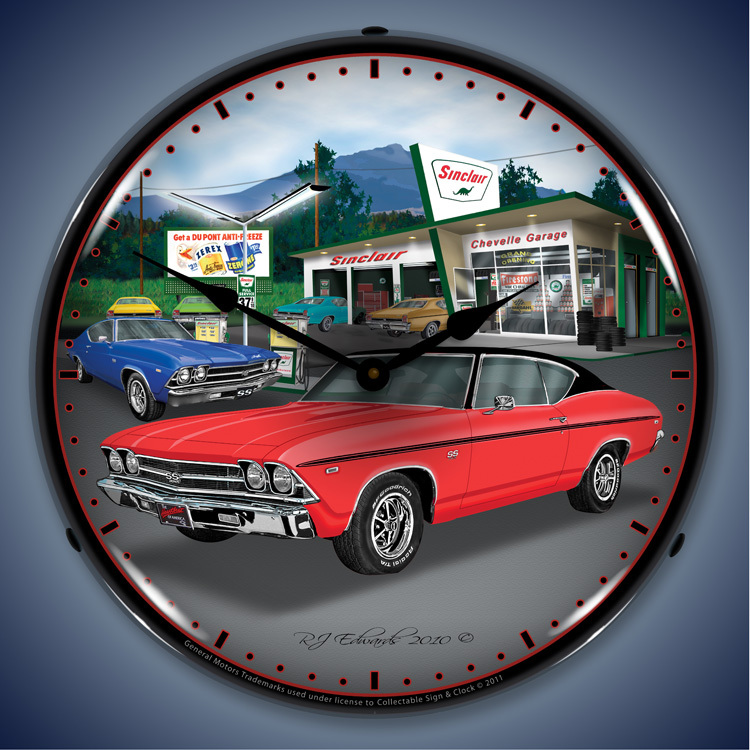 Each dominated by that recognizable design that belongs to the Chevelle and no other. 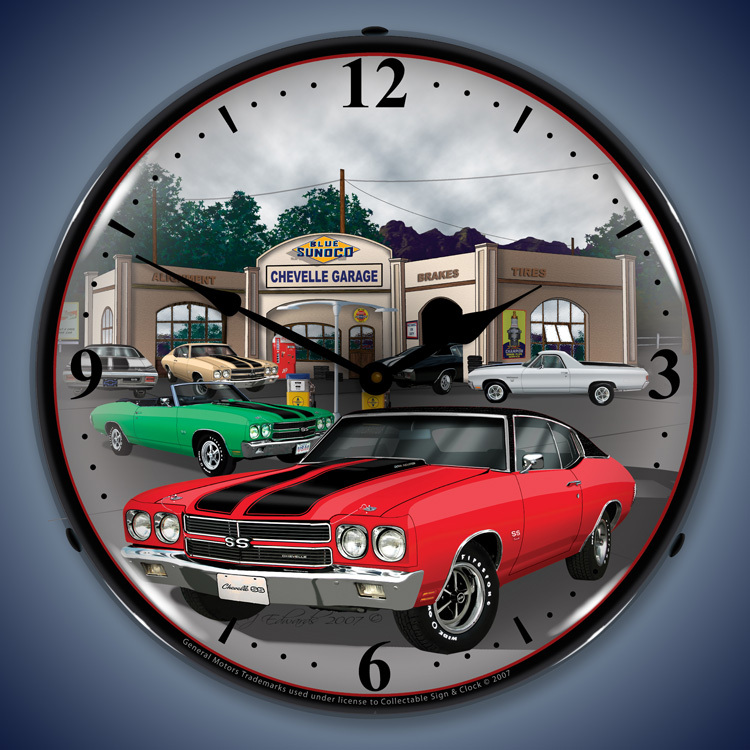 These Chevrolet Chevelle wall clocks are lighted/backlit, offering a soft, prominent glow that will add great atmosphere to any diner, garage or car lover�s space. Each face�s image was meticulously produced using a unique UV dried and controlled printing process that guarantees those bright, distinctive colors will last for years. 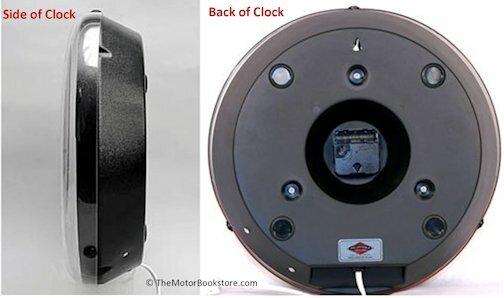 Every time piece was carefully crafted to evoke a sense of nostalgia, but engineered utilizing the most advanced and sophisticated tools and techniques available. 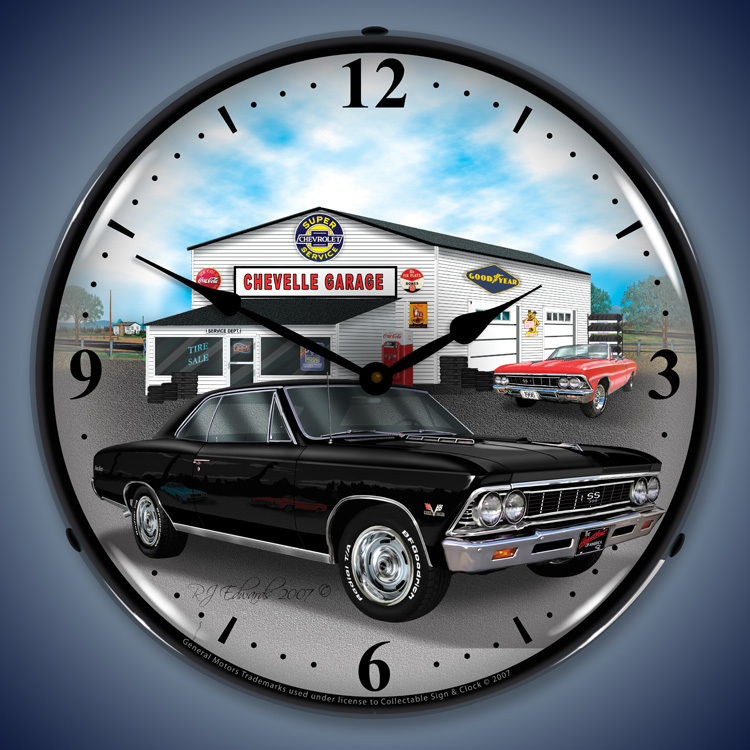 If you love the Chevelle � if you love cars � we know you�re going to love having these brilliant clocks on your wall. 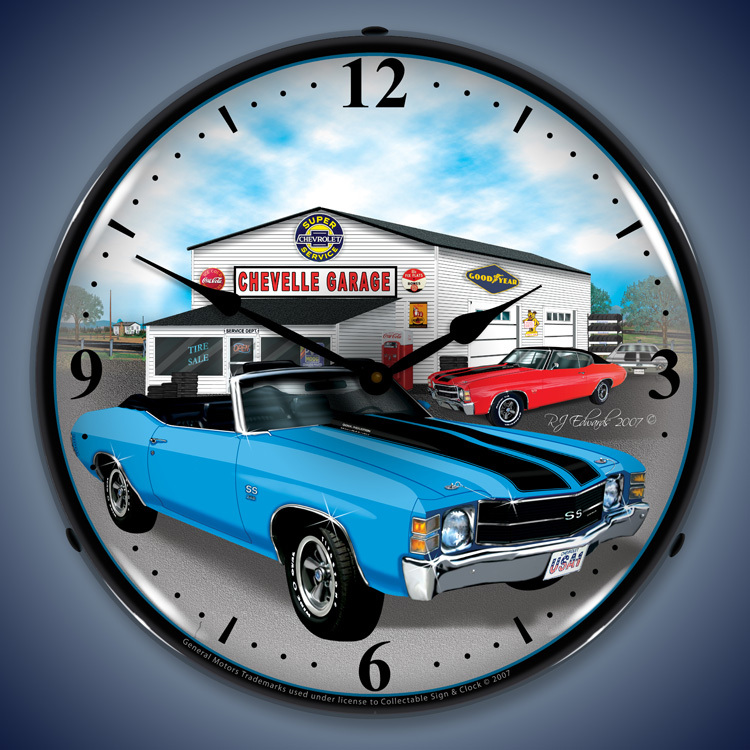 These Chevrolet Chevelle wall clocks will remind us why we love cars every minute of the day. Literally. 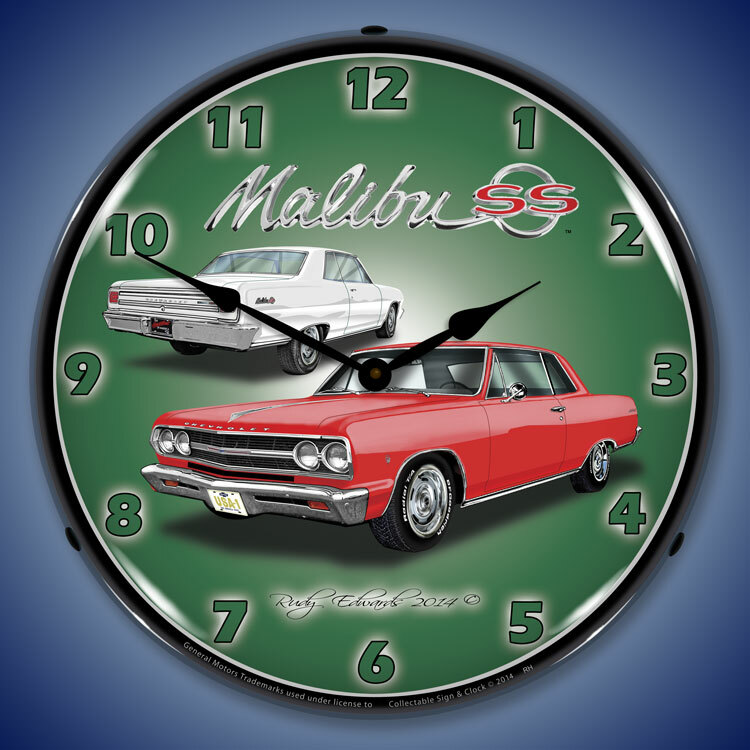 Subject: Chevrolet Chevelle Wall Clocks, Lighted: 1965 Chevelle, 1965 Chevelle Malibu SS, 1966 Chevelle, 1966 SS Chevelle, 1967 Chevelle, 1968 Chevelle, 1968 SS Chevelle, 1969 Chevelle, 1970 Chevelle, 1971 Chevelle, 1971 SS Chevelle.